I sometimes wonder if I should be barred from traveling due to my lack of navigation skills. My inability to read maps does not help either and getting lost is not unusual for me. Sometimes it works to my advantage and I discover little gems not listed in any guidebooks. On other occasions, I start to panic, and wonder if this will be the day that I disappear from the face of the earth forever. 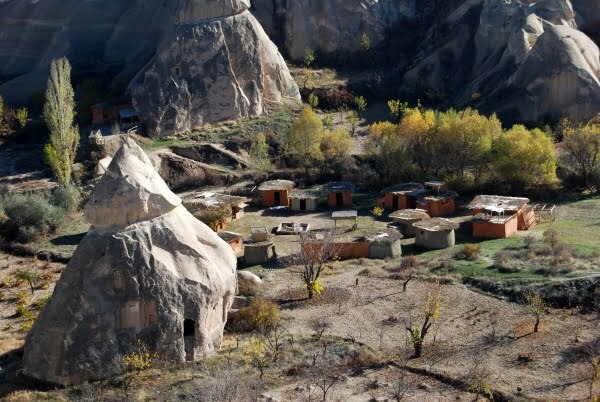 Pigeon Valley in Cappadocia, Turkey was no exception but in retrospect, it was a lack of planning that led to one of the worst hikes I have done in the area. 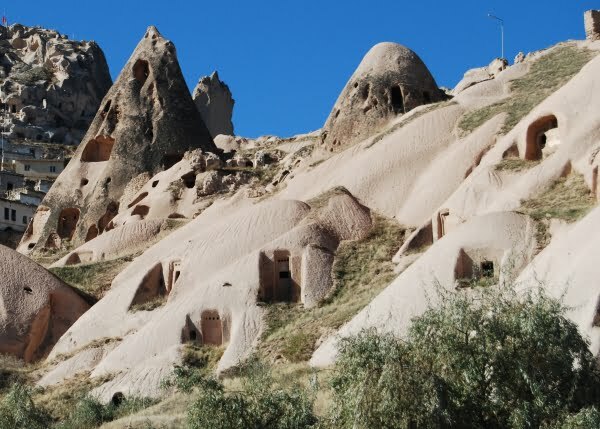 Called Güvercinlik Vadesi, it is a long trail promising sights of manmade caves. The added attraction was the old pigeon coves previously used by farmers in the region, who collected droppings to use as fertilizer. Full of confidence because it was my second visit, I set out from Uchisar with no water and no map. At times, the path became hard to follow and I found myself at dead ends or walking around in circles. I was hot and tired. I never saw anyone else walking the trail. Hence panic set in. I had two choices. To continue and hope that I eventually reached the end. 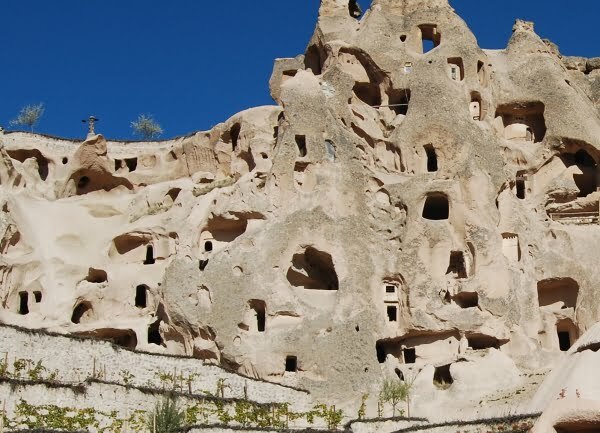 Alternatively, I knew the main Goreme / Uchisar road was near and I had to try and find my way back to it. I opted for the second choice and my hike was over. Now with hindsight, I would have read this post by another blogger first. It explains what to do, where to go and the attractions. Then I would have employed a local hiking rep to guide me through the trail. So Pigeon valley is still on my bucket list. Next time however, I won’t get lost! I really like your candid style of blogging, its great fun to read 🙂 Lacking in sense of direction and losing ways is a special knack I have got, which makes me relate to you so much ! I’m from India, and currently staying in Qatar. Would be travelling to Turkey for the first time, next month. 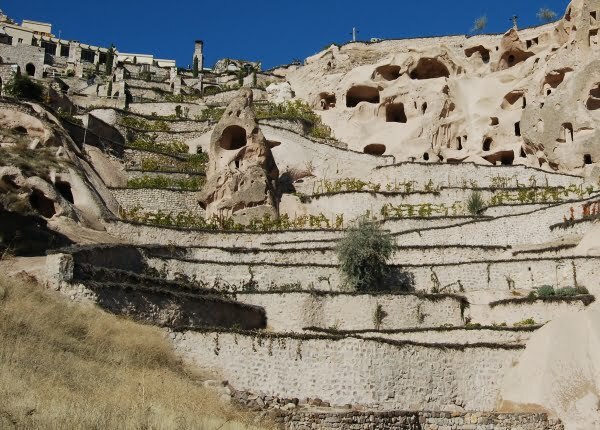 Would love to go for wine tasting somewhere in Cappadocia, but no exact idea on this. Since our travel operator will not be covering this, was wondering if you could help !